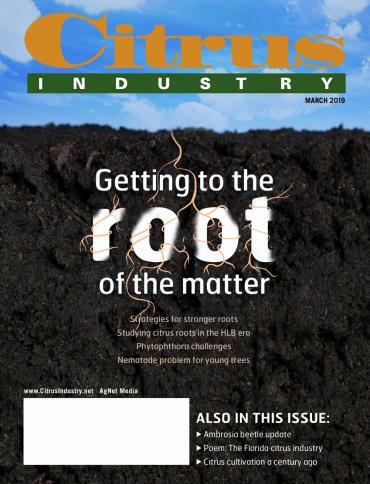 Growers can get to the root of the matter in the March issue of Citrus Industry magazine. 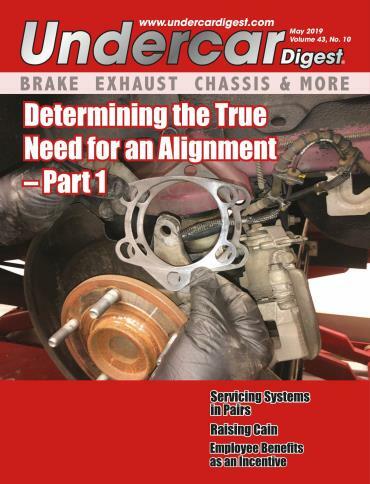 Several articles cover the topic of root health. 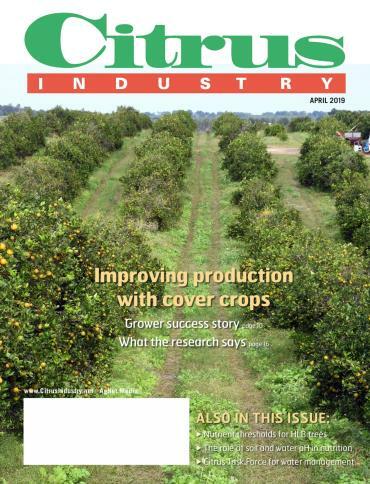 Citrus growers share successful strategies for stronger roots. 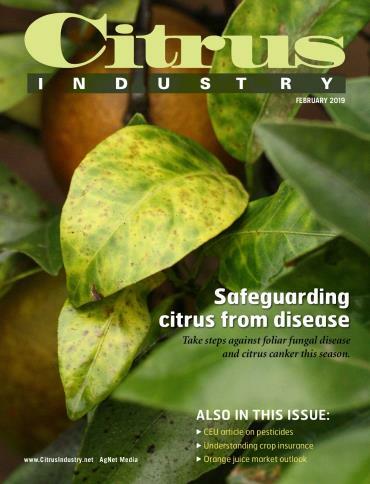 Three University of Florida research articles address root-related topics, including diseases caused by phytophthora, the growing problem of sting nematodes in young trees, and the study of citrus roots in the HLB era. 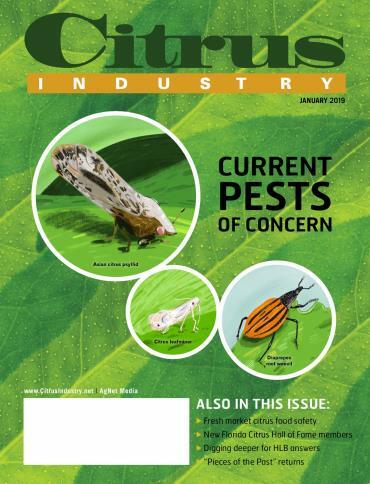 An additional feature in the March issue provides an update on ambrosia beetles recently found in Florida citrus for the first time. 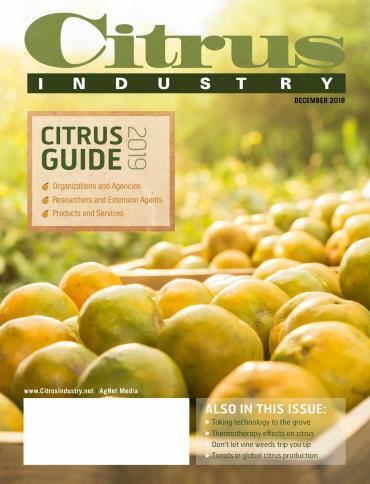 Other highlights this month include the announcement of a new Grower Editorial Advisory Board for Citrus Industry magazine and a poem written by grower Quentin Roe. More useful information can be found in the current episode of the All In For Citrus podcast. 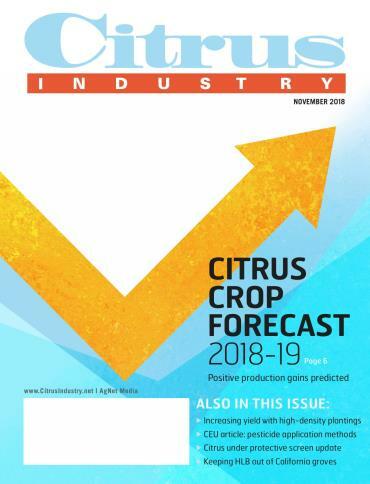 Topics include new faces with the University of Florida’s citrus research staff, a winter weather watch program, flowering models and how fertilization impacts fruit quality.